Like most of Ragnar Lodbrok’s sons, Sigurd “Snake-In-The-Eye” was a unique individual. His fascinating story is about prophecy, love, honor and vengeance. Famous Viking hero Ragnar Lodbrok was a legendary and fearless Sea-King who became one of the most important Vikings in history. His life story is unusual, but the same can be said about his sons. Lodbrok had several children with different women and one of them was beautiful Queen Aslaug who was daughter of the legendary Norse hero Sigurd and famous shield-maiden Brynhildr. 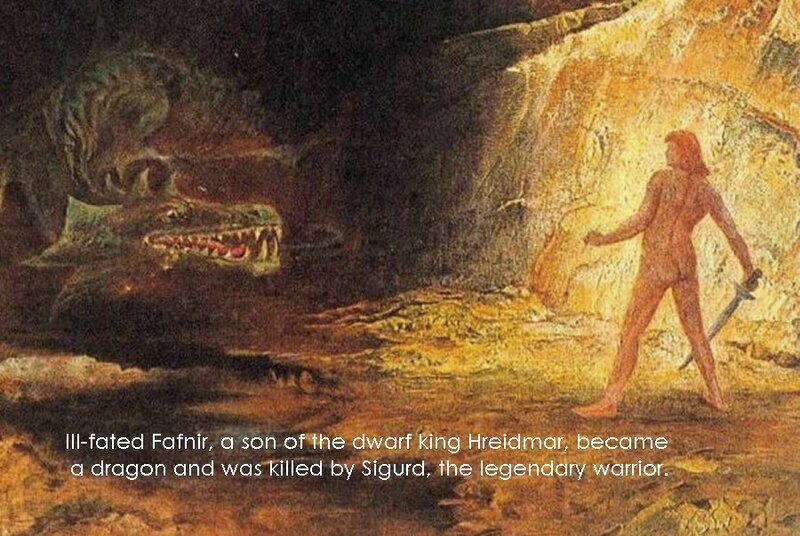 Norse Sagas tell that Aslaug’s father, the Sigurd Fafnirsbane killed the fearsome dragon Fefnir with his magical sword. It’s a famous event that has been depicted on several Norse runes. Aslaug’s mother, Brynhildr was a Valkyrie. In Norse mythology, the Valkyries were the choosers of the slain. The Valkyries were females riding on horses armed with helmets and spears. They would decide who would die in battle and drift over the battleground to find their prey. Selecting among half of those who die in battle the Valkyries bring their chosen to the afterlife hall of the slain, Valhalla, ruled over by the great god Odin. In another article on Ancient Pages, it was related how shieldmaiden Brynhildr was punished by God Odin for some of her actions. It is interesting to note that shield-maidens were long believed to be just fictional characters in in the realm of Norse mythology, but archaeologists have found evidence of female Viking warriors. Mythical shield-maidens did exist. Brynhildr’s and Sigurd’s daughter Aslaug was a very beautiful woman and she caught Ragnar Lodbrok’s eye and he asked her to marry him. Aslaug said yes, but only after he had accomplished his mission in Norway. While being in Sweden, Lodbrok met with Östen Beli, the viceroy who persuaded the Viking hero to reject Aslaug and marry Ingeborg, a Swedish princess instead. Aslaug learned about his plans to reject her by “three birds”. When Lodbrok returned home, she told him it would be wrong of him to marry the Swedish princess. Aslaug revealed to Lodbrok her true noble origins. Lodbrok was surprised to hear she was the daughter of the great hero Sigurd and the famous shieldmaiden Brynhildr. Ragnar Lodbrok considered himself to be a direct descendant of the God Odin and was naturally impressed by her parents, but could Aslaug be trusted? Were these perhaps empty words, just to convince him to marry her? Aslaug declared that she could prove that she was indeed the daughter of the daughter of the hero Sigurd whom had slain the dragon Fafnir. Aslaug said that she would bear him a child whose eye would bear the image of a serpent. Aslaug was a Völva, a very powerful female shaman and seer in Norse mythology. On one occasions Lodbrok learned from a seer that he would have many famous sons and he treated Aslaug’s prophecy seriously. Aslaug’s first son was Ubbe, who was conceived whilе Rаgnаr wаѕ still mаrriеd to Lаgеrthа. His birth led to a split between Lodbrok and his first wife Lаgеrthа. Then, Aslaug gave birth to Ragnar Lodbrok’s fourth son who we today know as Ivar the Boneless. Ivar the Boneless was not like any ordinary children. Norse Sagas tell he was born with twisted, dеfоrmеd lеgѕ and Lodbrok refused to accept the child. As previously discussed on Ancient Pages, Lodbrok wanted to get rid off his disabled son and he wanted to kill Ivar the Boneless against Aslaug’s wishes. However, Ivar the Boneless survived and he became one of the most famous and fearsome Vikings. Ragnar Lodbrok who participated in many raids, continued fighting even as an old man. It is unknown where he died, but according to Icelandic sagas and early English sources Lodbrok was eventually captured by the Anglo-Saxon Christian king Aella of Northumbria. King Aella of Northumbria executed Lodrok by throwing him into a pit filled with poisonous snakes. News of Lobdrok’s death reached his sons. Sigurd “Snake-in-the-Eye” who had been very close to his father was devastated when he learned about his death. He was so affected that he cut himself to the bone with a knife he held in his hand. He and his brothers swore they would avenge Ragnar Lodbrok’s death. Lodrok’s sons traveled to England to avenge him and kill King Aella. Ivar the Boneless who was in charge of the Great Heathen Army that occupied York, provoked king Aella who was soon caught by the Vikings. King Aella was brought before Ivar the Boneless who ordered that the King of Northumbria must be subjected to the dreaded ‘blood-eagle’ as a sacrifice to Odin. The king was stripped to the waist and tied down to the ground. A Viking warrior hacked at his ribs, breaking them and cutting a deep incision down either side of the spine. The lungs were then pulled out through the wounds and allowed to quiver like a pair of blood-stained wings until the writhing king expired. After the death of Lodbrok, Sigurd “Snake-In-The-Eye” inherited Zealand, Scania, Halland, the Danish islands, and Viken. 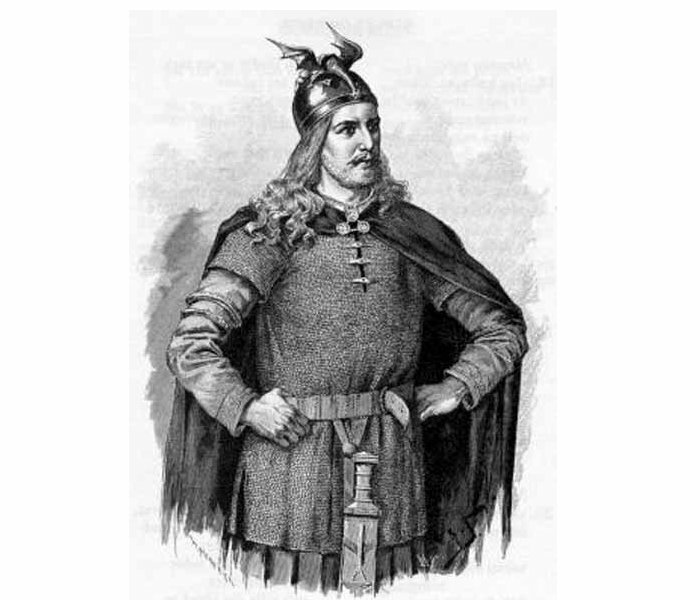 In about 877, he succeeded his brother Halfdan Ragnarsson as king of Denmark. As strange as it may sound, Sigurd “Snake-In-The-Eye later married Blaeja, the daughter of king Aella of Northumbria and they had four children. It’s a bit ironic that he married the daughter whose father had killed his own beloved father, but in those days there was another way of reasoning. When Sigurd “Snake-In-The-Eye died is unknown.